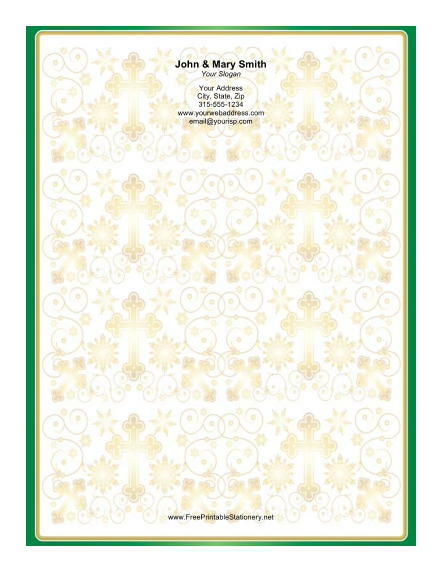 Several gold crosses are framed by a gold and green border on this Christmas stationery. The background also includes golden snowflakes and ornate golden vines. When composing a church newsletter, this stationery is a great paper choice.